4/16/19 - 26 year old Selena Lopez of Parlier has died. As Sheriff of Fresno County it is my pleasure to welcome you to the Sheriff’s Office web site. 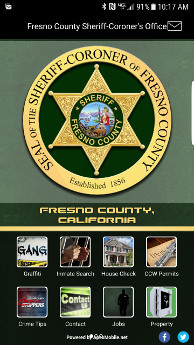 This site is in furtherance of our ongoing effort to work with our communities to keep Fresno County safe by providing up to date information and access to you, the public we serve. The men and women of the Fresno County Sheriff’s Office are dedicated to providing the finest quality law enforcement and correctional services. This site has been designed to be a resource for the public, providing up-to-date information and news, as well as background and historical information about the office. On this website you can find helpful information about items such as: Filing a crime report online, crimes trends and statistics, locating a jail inmate, download and print forms required for various services and learn about the office itself. The Fresno County Sheriff's Office was established in 1856 and has a proud history and tradition of providing professional law enforcement services to the nearly one million citizens of Fresno County. The Sheriff's Office patrols more than 6,000 square miles of Central California with a diversity of terrain that varies from open farmlands to metropolitan areas to the rugged mountain peaks of over 11,000 feet. There are approximately 1,200 employees at the agency who are dedicated to providing professional law enforcement services to the citizens of Fresno County. We follow the motto, "One Team, One Mission." Please take a moment to navigate our site and learn more about the Sheriff's Office, its services and how it can better serve you. 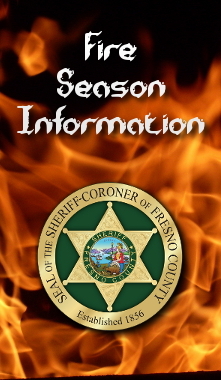 The Fresno County Sheriff-Coroner's Office is now available via mobile app! 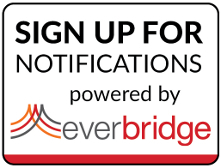 Stay informed on the latest information and get access to important details about your community. Click the image above or visit this link to download the app for your Android or iOS device.